Zameen.com among the world's top 8 property portals! Zameen.com has done it again! We are in the news a lot these days, it seems. This time around, we’re thrilled to let you know that Zameen.com was named one of 8 global portals 'to watch and learn from' at the Property Portal Watch Conference – the international industry’s event of the year! – in Amsterdam on October 7-9, 2015. This is no ordinary accomplishment. Property Portal Watch (PPW) is a big deal – it’s actually the global authority on property portals. Our team has worked tirelessly to achieve this level of success. As happy as we may be, we have no plans of slowing down. Onward and upward! Our presentation at the conference was delivered by Co-CEO Imran Ali Khan. And what a presentation it was! Incessantly praised for its notable depth and scope by those in attendance, including market leaders from all over the globe, it easily became the highlight of the event. Attendees particularly gushed about our remarkable data-driven approach to management, propelled by advanced tools developed by Zameen.com from scratch. “We’re extremely proud of this incredible achievement, primarily because it has been one of our goals since day one to be one of the best in the global online real estate landscape. The way our innovative approach to internal systems and management has been received on this international platform has been nothing short of exhilarating, and we look forward to building on this great success,” said Khan. Towards the end of the three-day conference, PPW named Zameen.com as one of its ‘8 Property Portals to Watch and Learn From’, a list which included top international names such as the UK’s Rightmove, Trulia from the US, Australia’s Realestate, Brazil’s VivaReal, and Mitula. Zameen.com was ranked above renowned portals such as Immobiliare.it and Zoopla. 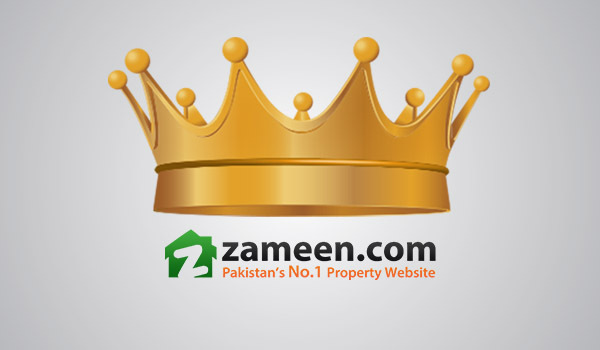 Needless to say, Zameen.com is undisputedly Pakistan’s largest property portal. In such a short span of time, we have had an indelible impact on the real estate landscape of the country. We recently launched a full-scale TV campaign and announced a major $9 million investment from three top international funds. Furthermore, we currently boast over 1.5 million verified listings, more than 2.2 million monthly visitors, and over 500,000 subscribed members. Moreover, we have offices in Lahore, Islamabad, Karachi, Dubai and London, and presence in 17 other major cities of Pakistan. As you can see, Zameen.com’s team is determined to graze new heights every day. This new feather atop our ever-growing cap reflects this drive and we are ecstatic to share this news with you.